The new building is located in a burgeoning newly revitalized area of Chicago. CHICAGO – C.H. 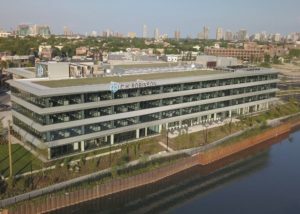 Robinson has moved its Chicago flagship operation into the new Lincoln Yards development in the Lincoln Park neighborhood of Chicago. It is the first anchor tenant in the revitalization area. C.H. Robinson’s customer base in Chicago has increased by 25 percent in the last five years and Chicago is a critical logistics hub for the company. A celebratory ribbon-cutting event will take place on Oct. 3, 2018. “We are the largest logistics employer in Chicago and we built this office with future growth in mind as we look forward to many more years in this great city,” said Pat Nolan, vice-president North America at C.H. Robinson. “Chicago has always been a transportation hub for moving goods in the U.S., which is why C.H. Robinson has had continuous operations here for over 100 years. The Lincoln Yards development is an urban oasis along the river with parks, bike trails and pedestrian paths. It is a commuter hub with connectivity to the rest of the city through public transit and housing within steps of the building’s front door. “Chicago is an important location for us as an organization. We have more employees in Chicago–2,500 in eight offices–than any other global location,” said Mike Ryan, vice-president of North American surface transportation at C.H. Robinson. C.H. Robinson is a Fortune 200 global company with more than 15,000 employees across 39 countries on five continents and $14.8 billion in total revenue. 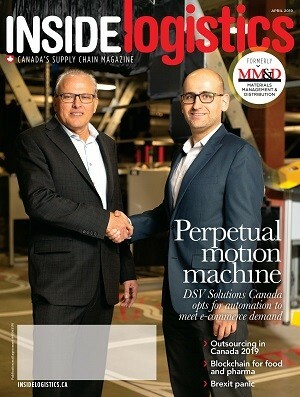 It helps more than 120,000 companies ship products with over 73,000 carriers and suppliers.